2005 foal, 15.35hh. 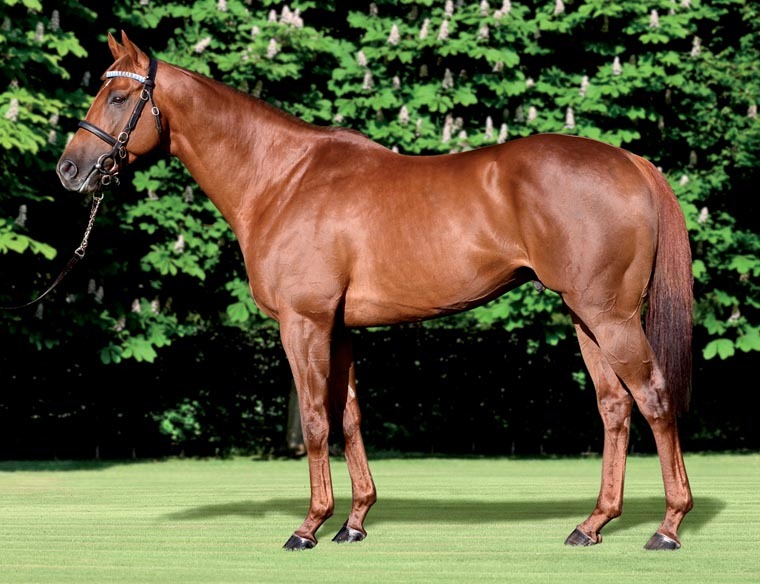 Owner bred by Hamdan Al Maktoum and trained in France by F. Head. Dam a 3yo winner in France and a half sister to Group 1 winner Anabaa Blue. Successful in both his outings as a juvenile. Won an 8f maiden on his September debut and a conditions event at the same distance in October. Ran 5 times as a 3yo for three wins beginning with an 8f Group 3 in April. Unplaced in the French 2,000 Guineas next time out. Won his next two outings in 8f Group 1 events defeating Raven's Pass in the Prix Jean Prat and Natagora in the Prix Jacques le Marois. Unplaced on his final career start ing the QE II Stakes well beaten by Raven's Pass. First Season Sire in 2012. Standing at his owner's Derrinstown Stud in Ireland in 2011 at a fee of €15,000 and the same level it had been in 2009-10. 33 yearlings sold in 2011 for an average of 52,355gns with the Median at 32,000gns.